Susan Scafidi stories at Techdirt. stories filed under: "susan scafidi"
"Candidly, you have to realise that intellectual property only gets you so far," says Mr Post. "At the end of the day it's really about your relationship with the consumer." What the company realized was that focusing on lobbying and enforcement just wasn't effective. Instead, educating customers on the difference between real and fake Vibrams, and showing why they'd want to buy the real ones (i.e., giving them a "reason to buy") was much more effective. The company put up a page showing customers how to spot a fake, and saw that it worked. 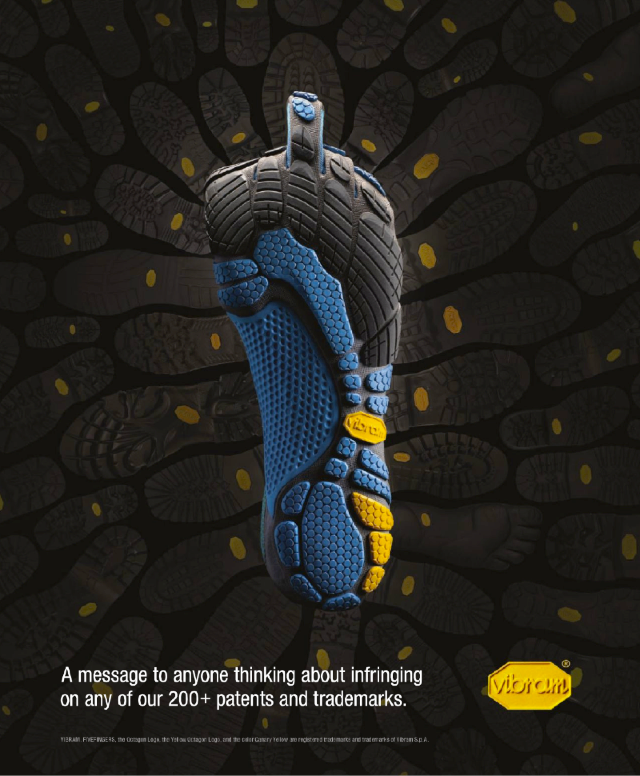 Vibram offered vouchers to customers who had unwittingly bought fake Five Fingers, so that they could buy the real product at cost price. The company also put up a page on its website alerting customers, enlisted the help of bloggers and asked fans of its Facebook page to get the word out. Within a year, the deluge of complaints from customers who had bought fake products slowed to a trickle. Amusingly, the article quotes Susan Scafidi, a professor who is well known for her support of ratcheting up intellectual property laws on fashion/clothing, suggesting that Vibram speaking out and connecting with its customers on this issue was a mistake: "It was a risky move, according to Ms Scafidi, who says that a company associating its name - however tangentially - with counterfeit goods could damage its brand." Beyond the fact that she was empirically wrong about this, that makes no sense. Being open and honest with fans, and explaining why they'd want to support the company whose product they like (and why counterfeit products are inferior quality) seems like a smart strategy. It's hard to see how that could "damage the brand" at all. In fact, it seems almost guaranteed to do the opposite, as it appears to have done here. While the company still does seem to be interested in some legislative changes (and is taking legal action against a competitor), it certainly seems like a case where a company has realized that there are better ways to deal with these issues than just using intellectual property law. This is pretty funny. When it comes to the ridiculous and totally unnecessary idea for a fashion copyright, we've discussed three different academics who support the bill, and are often held up as the leading voices behind getting fashion copyright passed. We've talked a few times about Susan Scafidi, who is probably the most vocal supporter of the law. However, last year, we also wrote about Jeannie Suk and Scott Hemphill, based on a Boston Globe article, mainly playing up Suk's (a Harvard professor) role in writing the actual law for Senator Chuck Schumer. Our article mainly focused on the paper that Suk and Hemphill wrote about fashion copyrights, which we found to be chock full of some of the most ridiculously bad economics around, including the positively laughable claim that competition is bad because it reduces profits and hinders innovation. Either way, Schumer clearly liked being able to use a "Harvard law professor's" research as cover for this ridiculously bad bill, and it was no surprise that both Suk and Scafidi were apparently among those recently called to testify before Congress about the bill. However, we received a note from someone going by the pseudonym "Untenured Colleague," who has put up an entire blog that appears to be dedicated to the claim that Suk and Hemphill "plagiarized" significant parts of their paper from Scafidi. The "Untenured Colleague," notes the irony of someone pushing for laws against copying allegedly copying others. To be honest, I tend to find calls of "plagiarism" pretty silly, most of the time. If people are building on each other's ideas, is that really so bad? Though within academic circles, it's certainly quite a charge. But I do find some irony in someone in favor of stricter anti-copying laws even being accused of copying, because those in favor of the laws often underestimate just how quick people are to accuse others of copying. I have no idea if Suk and Hemphill plagiarized from Scafidi at all. You can look at the chart this "colleague" put together or a more detailed explanation and make your own decision as to the legitimacy of the claims. Frankly, I'm not at all sure that the actions rise to the level of plagiarism. It certainly appears that Suk uses similar phrases, terminology and ideas as Scafidi has, but it's not uncommon for those advocating the same thing to do exactly that. I regularly see people advocating the same position I've taken, using nearly identical phrases and arguments that I've used (and even coined! ), and I have no doubt that I've done the same to others without realizing it. But, really, what strikes me about this whole thing is that it demonstrates one of the serious problems with expanding copyright, especially into highly innovative areas like fashion design. People see "copies" in all sorts of things, and are quick to accuse others of copying, whether it's legit or not. Adding such a law in a highly competitive, thriving and innovative industry is just going to create a rash of unnecessary lawsuits, as different designers accuse one another of "copying." That may be good for lawyers, but it's not good for the industry and it's certainly not good for the public.